It’s the first thing that hits you when you step into the world of Bugaboo. The team at Bugaboo headquarters is mostly made up of gorgeous blond women or tall, dark and handsome men. Not a bad combination to be honest. It’s no wonder their prams are so easy on the eye. The team are all relatively young, passionate, enthusiastic and you can tell they absolutely love what they do. 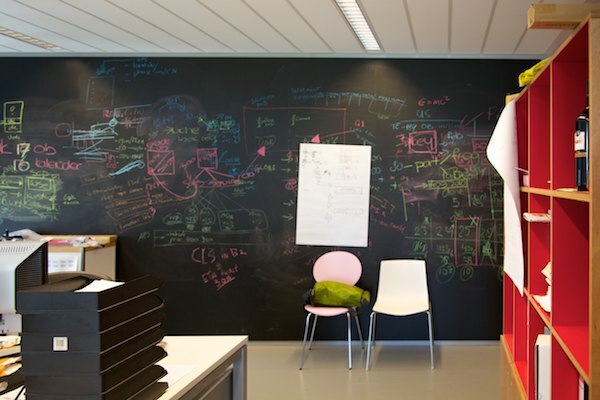 Outside, the Amsterdam office is not colourful or anything like what I imagined Bugaboo to be. Once inside it was everything I had expected and more. 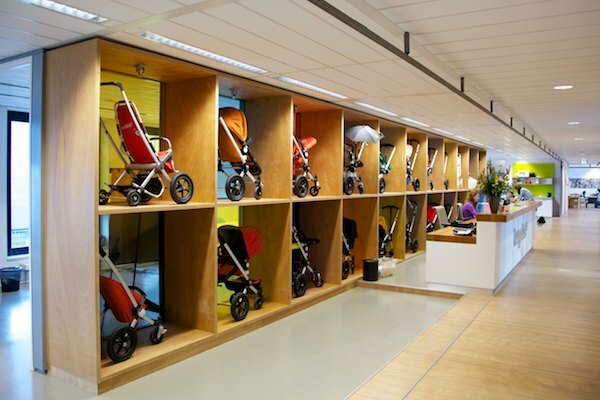 Very sleek, bright and colourful and prams everywhere throughout the office. They really look after their staff with terrific benefits including parking and a hot lunch each day. We ate with the staff and were impressed by the fact that everyone from the CEO down mixes and dines together each day. I particularly like the Dutch tradition of putting butter and chocolate or coloured sprinkles on bread (what we commonly call fairy bread!) 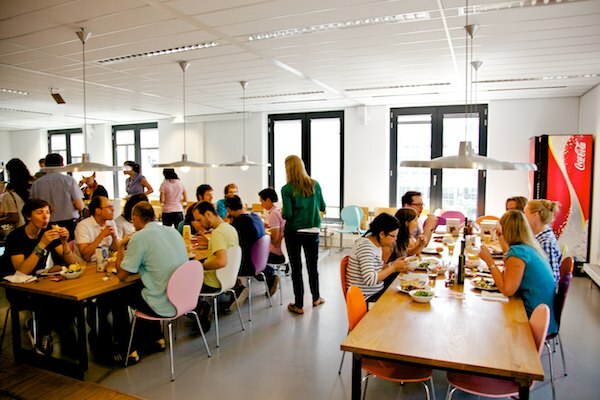 This is what the Dutch do for many meals, and it’s perfectly ok for grown-ups! My few days in the office showed just what a team ethos the company has created. Everyone – from the designers, engineers, marketing, finance, sales and all other departments – is part of the process and feel like they are contributing to the success of the products and the company. Many other pram companies worldwide focus on delivering more products in a shorter time frame. 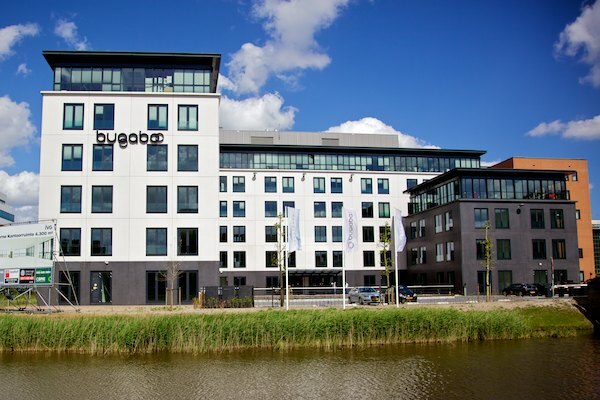 Bugaboo is led by their innovation and design principals which means they will produce far fewer products than the average company, but each will be unique and well thought out. Bugaboo is working on several projects at the moment, four to be exact. They would not reveal anything about them despite my constantly trying for a snippet of information. 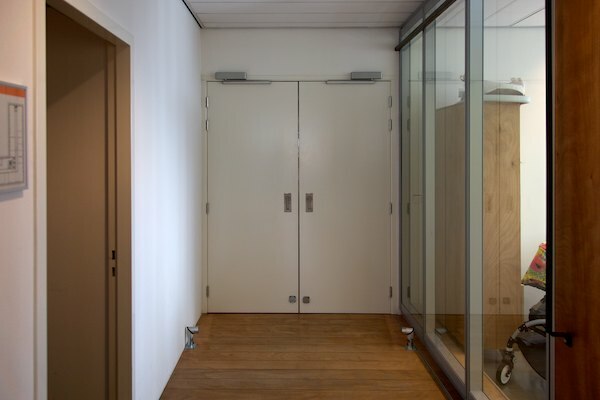 They actually have a secret door (below) that requires special clearance to open and I would have done anything to have a glimpse at what was behind it. So any guesses on what’s behind the door? All I know is they are currently working on other products to transport people from point A to B. Perhaps a bike with baby carrier is coming next? I loved seeing the very first Bugaboo prototype. In 1994 Max Barenbrug graduated from the Design Academy Eindhoven with double honors in two subjects: mobility (for his double Dutch city bike) and leisure (for his Bugaboo stroller). Eduard Zanen, an entrepreneur, became involved and in 1996 Eduard first invested in the Bugaboo stroller. In 1999 the first Bugaboo – the Bugaboo Classic – appeared on the streets of Holland. In 2001 the Bugaboo Frog was launched in the UK and in 2003 in the US. 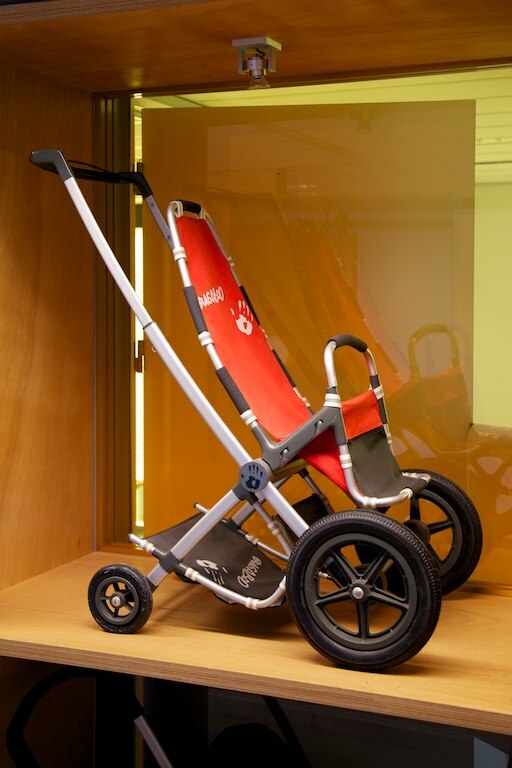 2004 was the year where the Limited Edition Bugaboo by Bas Kosters was introduced. In 2005 Bugaboo launched the Bugaboo Gecko and the Bugaboo Cameleon. In 2007 the Bugaboo Bee was added to the product family. This brings us to 2011 and the Bugaboo Donkey. You can see below the first Bugaboo prototype has those typical Bugaboo wheels and the second prototype is very similar to the final Bugaboo design. I have to admit I tried to move the original prototype for a better angle in the photo but it’s a little wobbly these days and though they said I could move it, I decided I did not want to be the person who broke the original Bugaboo prototype, so sorry for the angle on this shot! 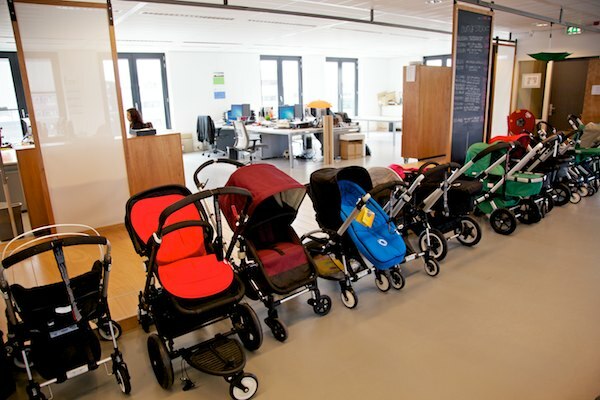 When walking through the sales department, there is a long line of all Bugaboo prams produced so they can answer questions on all current models as well as past models such as the Bugaboo Frog. 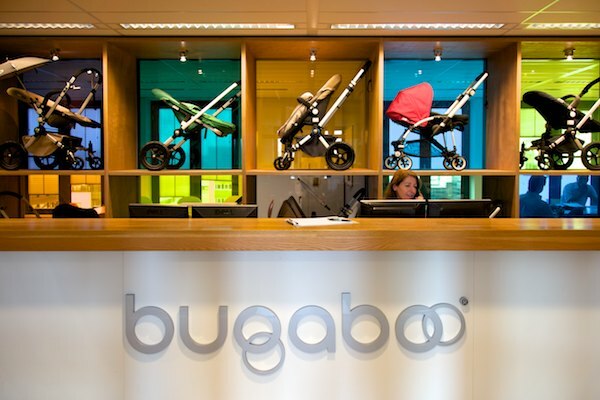 When you see them all together it appears there are many more Bugaboo products in the marketplace than have actually been released over the years. 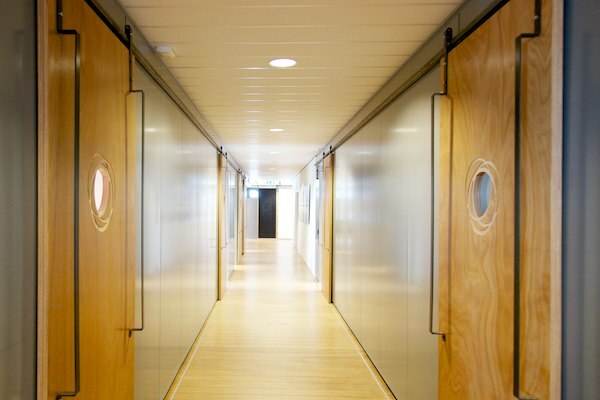 Check out some of the gorgeous hallways and embellishments in the office, such as logos on all the doors, the design wall in the engineering department and the lovely coffee areas to have small meetings. The difference between Bugaboo and other companies is the time taken in the design phase with all the details. Another company might launch after three years of design and see what happens, but Bugaboo spend the extra two years making it perfect. I hope this gives you some insight into Bugaboo, their principals and their working environment.